Here is an offer where you can sign up to receive a free POW/MIA Recognition Day poster. Click the “Order Poster” button under the poster image, and follow the checkout procedure to claim yours. 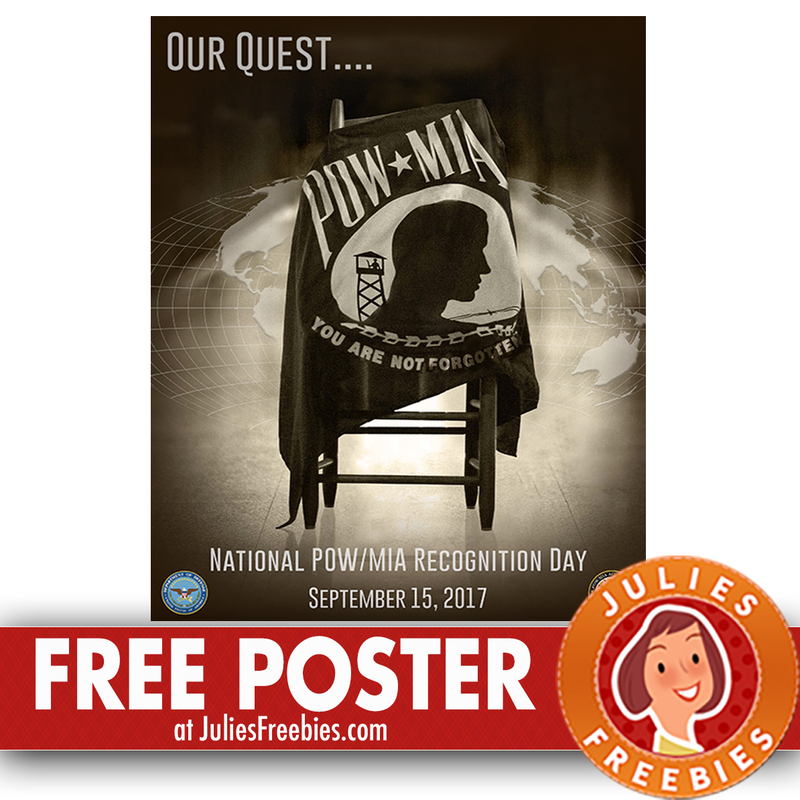 The post Free POW/MIA Recognition Day Poster appeared first on Julie’s Freebies.